The brand's latest model arrives this spring. 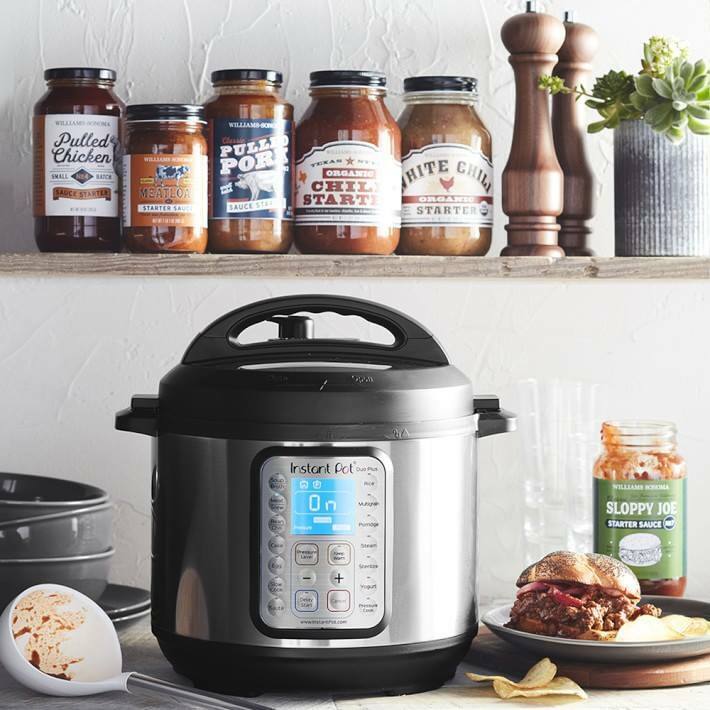 Instant Pot DUO Plus pictured above, courtesy Instant Pot. It's no surprise that the Instant Pot was one of the most gifted holiday items of 2017. Perfect for culinary enthusiasts and lazy chefs alike, this programmable pressure cooker essentially does the job of multiple kitchen appliances in one, while seriously cutting down on your total cooking time. But as if that weren't enough, plans to release a new and improved Instant Pot Max this spring have just been announced. Pot owners are constantly raving about this multi-tasking appliance on our forums, and it's easy to see why. Not only does it prepare your food super fast, but it also frees up your kitchen countertop space thanks to its all-in-one capabilities. It's basically a pressure cooker, steamer and slow cooker all in one. You can even make a cake in it. Slickdealer philmac raves, "This thing is awesome and is good for busy people," while Slickdealer Sam2868 says, "I got this last year and it sits on my counter, as I use it constantly. Love it." What Makes the Instant Pot Max Different? It cooks food even faster: The Instant Pot Max is fully loaded with more features than any other model and cooks food up to 15 times faster due to its higher maximum pressure of 15 PSI (other models generally max out at just under 12 PSI). It can be used for canning: Another perk of its higher pressurization? At-home canning. The new model will offer a “pressure canning” function that will let you preserve your favorite seasonal foods in sauces, fruit and jams. It has an automatic stirrer. This new model will also have an automatic stirrer, so you can finally cook risotto to Martha-Stewart-like perfection. It has a touchscreen display: Welcome to the future, Instant Pot. The newest version boasts modern touchscreen controls, backlit LED labels, and a traditional spin-dial for a user-friendly interface. It's safer. One of the biggest fears with crockpots and pressure cookers is their overall safety factor. (Just ask any fan of "This is Us.") Fortunately, the Instant Pot Max is helping put those fears to rest with added safety features, such as automatic slow venting, pulsed venting, and quick-release venting. The lid includes an automated valve that can open on its own to release pressure when needed. It can sous vide, eventually. According to CNET, a sous vide function will be added to future iterations of the Instant Pot Max, but it hasn't been confirmed whether the launch version will contain this feature. You can use the Instant Pot Max as a slow cooker, pressure cooker or steamer. You can use it as a saute pan or a stockpot warmer. You can even use it to make wine or yogurt. There's very little this innovative appliance can't do. One drawback, however, is that the Instant Pot Max appears to only come in one size: 6 quarts. Other Instant Pots are available in 3-qt. and 8-qt. sizes to better accommodate different cooking needs. What size is best for you? As Slickdealer chckt64 explains, "Per my research, the 6 qt. is good for 1-2 people, roughly 6 servings so that's enough for some leftovers. But if you plan to cook in batches (meal prep for a week), then go with the 8 qt." When Can You Buy the Instant Pot Max? 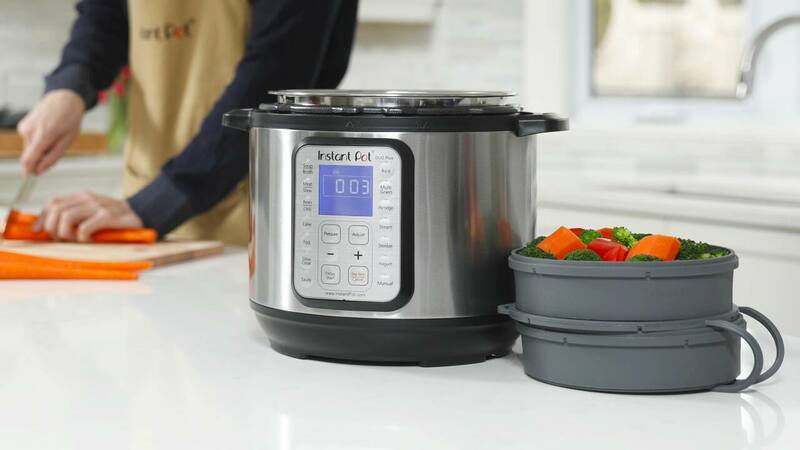 While an exact release date is yet to be announced, the Instant Pot Max is expected to hit stores sometime in May or June. How Much Will the Instant Pot Max Cost? The exact price of the Instant Pot Max is still unconfirmed, but it's estimated that the upgraded model will run you around $200 (which is at least $100 more than other 6-qt. Instant Pots). Pricey, yes -- but the new product launch will likely result in older models getting cheaper. When it comes to Instant Pot deals, Amazon and Kohl's have a proven history of offering the best overall prices. We've seen the mini 3-qt. model go for as low as $48 at Amazon and $49 at Kohl's (coupled with $10 Kohl's Cash). The 6-qt. Instant Pot has sold for $68 at Amazon and Kohl's, as well (with Kohl's throwing in $15 Kohl's Cash to sweeten the deal even further). The 8-qt. version has gone as low as $82 and $84 at both retailers, respectively. If you know you'll redeem your Kohl's Cash earnings, then that's probably where you'll want to make your purchase. Otherwise, the lowest price typically belongs to Amazon. Be sure to set a Deal Alert to be the first to know of any Instant Pot or Instant Pot Max sales. Are you a fan of the Instant Pot? Do you plan on upgrading to the Instant Pot Max this spring? Keep the conversation going in the comments section below! Images courtesy of Instant Pot.